The small roast-beef sandwich and ice coffee were delicious. I mean really, really good. It was a beautiful afternoon with the sun shining, but it wasn’t hot, and there was a light breeze. I smiled and thought, this was a good moment; I looked out at the magnificent view of trees, and Washington State mountains in the distance. I’m a journalist, and under normal circumstances anytime I’m anywhere on assignment, and there is free food and coffee, I’m a happy camper. So adding in the fact that I was going to be spending the next couple hours listening to a $500,000-plus Tidal Audio-centric system courtesy of Vancouver-area dealer Element Acoustics, only widened my grin … screw the diet. I reached for a chocolate croissant. Lyra Etna LOMC cartridge, ($11,695 CAD) on Thales TTT Slim turntable ($10,000 CAD). Edward Ku of Element Acoustics is a soft-spoken guy who doesn’t like to talk about himself; instead he let’s the gear he represents, and sells, do the talking for him. The Tidal Audio/Thales/Lyra system he, and fellow audiophile/dealer Wynn Wong of Wynn Audio put together for this listening demo was speaking volumes about both men. Tidal Sunray G2 (G1 model for demo) starting from $185,000 CAD (with optional Piano Mahogany veneer finish, and Performance Crossover upgrade available at extra cost). During my time at the demo, I only heard the analog front end through the Tidal system, and I have to say, it was a sound that confounds conventional descriptions that I’m comfortable using to relate my listening experience. The sound induced a wholly transcendental, meditative state. I’m reasonably familiar with the Lyra Etna low-output moving coil cartridge, as it’s an audio-show favorite of mine, usually fronting systems that I tend to be engaged with the most. 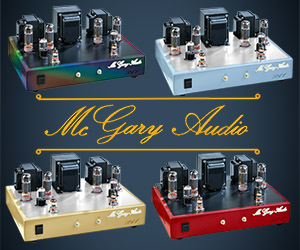 It’s an emotionally insightful, incredibly neutral, tonally beautiful, and exciting/dynamic cartridge featuring a proprietary line-contact stylus, diamond-coated boron cantilever, and dual-magnet, yokeless generator assembly. The Thales Simplicity II tonearm (a whole other review in, and of itself), and Slim turntable (ditto!) that was handing-off the musical translation duties completely got out of the way of the Lyra in my opinion, and allowed it to breathe so deeply that output was magnifying every positive facet the Etna is imbued with. The Tidal Presencio preamplifier stack, and the massive Assoluta monoblock amps squatting alongside seemed utterly transparent to my ears, and while I’m shying away from the technical prowess of this system because it elicited such a deep, and provocative emotional response from me, I will say that the depth, and power on tap here delivered such startling clarity, and undeniable headroom in its sound, that the feeling of effortlessness each note was imbued with was intoxicating to experience. Put another way, Tidal gear forgoes any imposition of character to the sound. And this brings me to a very salient point that Wong brought up in conversation with me: that these are components designed for the ultimate music playback experience, and Wong said cost doesn’t really factor in to what Tidal is trying to achieve at this level of their offerings. But, he quickly added, without this type of research and development at the ultra high-end of hi-fi, there would be no trickle-down benefit for consumers of Tidal’s middle-range or entry-level offerings (or beyond that, to any high-end audio manufacturer). Wong feels without pure R&D, and cost-no-object technical pursuit of component material, design, and construction, high-end audio would wither, and with it, so too would the rest of the industry. Master of the analog domain, Mr. Jeffrey Tseng drops the needle on a fine selection of new, and vintage vinyl. The selection of music was under the watchful, and obviously talented eye of one Jeffrey Tseng, a symphonic conductor, and lover of sublime recordings. Tseng was spinning audiophile choices with an almost Zen-like, metronomic cadence. But these weren’t just the same-old recordings one can make out a mile away at a trade show, where sonic stalwarts of the hi-fi demo go to linger for years before dying an ignoble death in the audiophile record bin. No, he was playing songs of passion, depth, sadness, longing… music to weep in appreciation by in a sense. This wasn’t sad-sack classical or jazz, where everyone purses their lips at the same time while listening because the resin on the string adds timbre just so. No, this made you feel a bit dizzy, and got your mouth all dry. Daniel Domb Apollo hit the platter, and if you haven’t heard anything by this cellist, go, and order an album now. It was impossible to not be caught up in the performance because the Tidal gear had the room awash in cello. The sound was massive. Like rough-hewn, creaking, deck timbers on a three-masted ship-of-the-line. It was if the air itself was flexing, and heaving while the boat struggled through a storm surge to make for deeper water, and safety. Not content with the aural beatdown of Domb & Domb, Tseng threw on another LP that was having the secrets of its deep grooves peeled out into the daylight by the Lyra Etna: Jazz at the Pawnshop. An audiophile must-own featuring Arne Domnérus on alto sax, and clarinet, Bengt Hallberg on piano, Georg Reidel on bass, Egil Johansen brushing the skins, and Lars Estrand on vibes. This 1976 Gert Palmcrantz-recorded live session in Stockholm, Sweden is the stuff of legend (yes, Palmcrantz is that quirky Swedish microphone fetishist posing as recording engineer). The sound off this slab was so palpable, so alive, so present, that when you closed your eyes you couldn’t not imagine dust motes swirling around Reidel’s fingers as he plucked, and snapped-off bass notes in the smoky air of the club. Tseng played several other mind-altering LPs over the next hour or so, but to be honest, I was in no shape to keep taking notes, so I just soaked it all in. Listening to gear with this level of swelling emotional weight to its presentation is almost exhausting because of its impact on those parts of our sum that are most delicate, and can betray that which we might normally hide from the public, perhaps even our friends, and family: the heart, the soul, the deep, hidden pools of feelings, and slow-moving undercurrents of fear, regret, longing, passion… this level of playback can dangerously expose those secrets like a yawing pit. You cannot help but be completely drawn in to every nuance by this level of absolute visceral, organic musicality. This is obviously not a system for everyone, and I mean that on multiple levels. Not everyone can afford it, and not everyone wants to be opened up without pause by musical playback. But for those few seeking the ultimate emotional engagement in their listening experience, the system put together by Ku, and Wong offers a glimpse into traveling through what I would consider uncharted music-playback territory. Too many audiophiles (in my experience) navigate these often confusing high-fidelity waters without a map, or even a true destination. And, I’m not talking about the journey of the gear that many of us find ourselves on, rather I’m speaking of the journey of the deeply complex, and often flawed, vulnerable human being that exists inside us all. Well, I am no professional, but do own a pair of those towers. The way they are configured, is a 3.5 way design. One of those 7 inchers runs fully mid-bass through midrange to be crossed over with a tweeter. The other one only supports the mid-bass (not sure at what freq. it cuts off). This way, the most sensitive to our ears (voice) range remains in the cleanest. Also, that same upper 7″ driver is said to be run straight from the amp, no elements in its circuit. Again, to ensure the purity of that range. So, this would not be the D’Appolito array even if you place the tweeter in between the mid-range drivers. Edward is a fantastic guy. I need to hear this system. He certainly is! Drop him an email and see if you can arrange a demo. I wish you would have had some of the audio of them playing. All the audio of music playing in the video is from the Tidal system. Interesting: the mid/treble array for this behemoth ultra-high end Tidal tower is T/M/M. Other heavy weight ultra high end brands like Wilson and YG Acoustics prefer the ubiquitous symmetrical M/T/M array. It is interesting that among these respected designers, we do not find universal preference for one array over the other. Performance wise both arrays likely have pro and con. All the drivers are cones and domes, with similar radiation pattern. The bass array likely has no effect; the lower the frequency the more omni-polar is the radiation pattern. Symmetrical array has narrower vertical radiation, said to provide “better pattern control.” Tidal’s choice seems to result in greater magnitude of floor and/or ceiling reflection, whose quality is determined by surface quality and its distance from the speaker. With a speaker this costly, the room in which it used is likely properly and thoroughly treated. I wonder to what extent aesthetics and/or branding determine which array is employed?